Koregaon Park being the party capital of Pune. Osho Meditation centre is just 5 minutes walk away from the hostel. The hostel is 4 kms away from the Pune Airport and 3 kms away from Pune Train station. 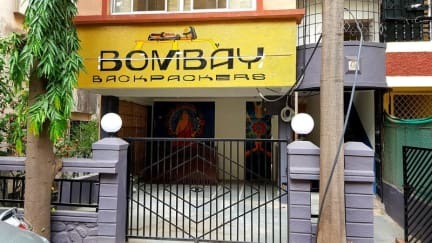 Bombay Backpackers is a chain of Hostels in Inida. The Hostel is themed after the teachings of Osho meditation centre like the dorms are named as Love dorm, Celebration Dorm, Creativity Dorm, Meditation Dorm. 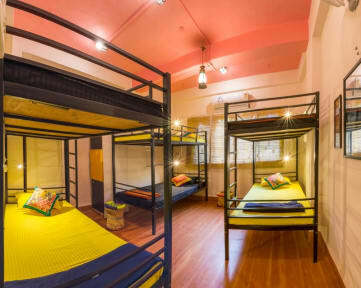 It has a total of 24 Beds divided in 4 dorms, 2 Premium private rooms, 3 Private Tent Rooms and a 4 Bed shared tent Room.